After a handful of delays, the Your Cre8tivity boys made it to West Point to check out and speak with GOAT YOGA UTAH! We chatted with business owner Alisa Boulter and instructor Sara Alexander! 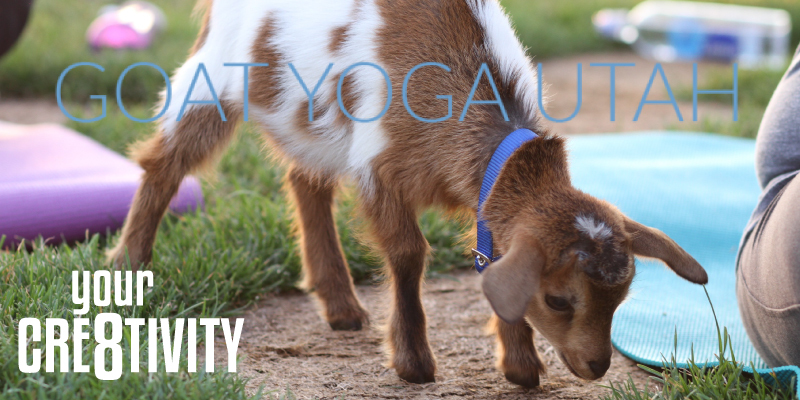 We learn about things got started last year, finding the perfect instructors, and how wonderful goats are! Welcome to our GOAT episode! Enjoy! Tell Us About Your Classes! BONUS QUESTION: Who Is Your Favorite Muppet? Why? PODCAST 039: "Tinker's Cat Cafe"
PODCAST 051: "LaVonne Wells Sandberg"
PODCAST 056: "Molly The Stripper"